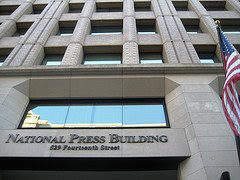 I'm really looking forward to my first ever National Press Club talk in Washington D.C., coming up on April 29th. We have exciting news about Bookshare, and it's especially thrilling to be talking about an educational program that scales well and works. Of course, the secret to Bookshare is that it's not Benetech making it so successful, it's our volunteers, our community, the schools, colleges, universities, authors and publishers that make it work so well for people with print disabilities so severe that they cannot read a standard printed book effectively.